As of today at 11:00am, I’ve been on US soil for 4 months since my Peace Corps adventure came to a close. The first week back home was a blur. My parents flung open the doors of childhood home and ushered me in. There were parties, and colorful food (everything I ate in Tonga was brown), a car to use, shopping trips galore, people to see and places to go. Thanksgiving was full of deep joy; my entire family being in attendance… then Christmas, celebrating with all of the traditions I had missed so much. People have asked, “What did you miss the most?” Here are some things that stood out to me in the first month of being home. -Holiday parties with vegetable, cheese and cracker trays, pizza, soda and beer were overwhelming, seeing so much food in one place at one time. -Going to a kickboxing class at the gym for the first time. The class started when it was suppose to, the air condition was working, the music played and it ended right on time. -Being reunited with my brothers after not seeing them for over two years. -Actually being with friends after only seeing them on a screen for two years. -Eating spinach and avocado everyday for a straight month. But they say that coming home is harder than leaving. I’d have to agree. I think each returned volunteer adjusts to things differently. For me, it’s been the sheer mass of decisions that have to be made seemingly at the same time, that are completely overwhelming. In October 2009, I quit my job after being there for 3 years, sold my car and committed myself to two years of service to my country through serving another one. I knew that for the next two years, I would be working in whatever capacity the American government and Tongan people wanted. I wasn’t worried about being laid off or getting a paycheck. Not only that, but my physical needs were met. Peace Corps and my school provided my housing, the US government gave me a stipend to buy my provisions with; I had good health insurance knowing that if anything went wrong, I would be taken care of. I also didn’t worry about my work. While I was concerned with teaching well and winning grants, I wasn’t worried about raises, my 401k, promotions or career changes. I didn’t have a car and grocery shopping was easy, there wasn’t much, I bought what they had. In this transition, I’ve been struggling with the big “what’s next” questions and decisions that have to be made. They seem to all have come at once. While in the past I have changed jobs, bought cars, moved and been in relationships, I don’t think I’ve ever been faced with all of those decisions at one time. Should I buy a car? Should I go back to what I was doing before Peace Corps? I am changed, right? I want to serve here in the US, but I also have to pay the bills. Should I pursue starting a family? Where should I live? Stay in California or move on? I have heard it can take a year to be fully transitioned back to America after living abroad. Here’s to the beginning of month 5 and the hope that I’ll continue to move forward. I am so grateful to those living alongside me right now. And for those of you group 75ers out there; I am with you in this thing. Let’s continue to do it together. They’ll give you the shirts of their back and the shoes off their feet. During training before being sworn in as a volunteer we were told that if you told a Tongan you liked their shirt, they would take it off of their back and give it to you. I believed it but never had the need for a new shirt. That all changed when walking from my island Lifuka to our neighboring island ‘Uoleva this weekend. John, Todd and I left our island at 2:30pm on Friday afternoon, low tide in our neck of the woods. The walk is about 1 mile between islands with a small narrow sandbar to rest on in the middle. Due to horses making the trek, there is a small sand path for most of the way. Water doesn’t reach past your ankles if you time your journey at the right time. The sand is easy to follow for about 80% of the way; there are a few areas of slippery rocks that you have to hop across. Though the water is shallow, it does rush in parts. About 15 minutes into the walk, one of my Reef sandals broke. I could still wear it by clenching it between my toes. I knew that if I lost that shoe, I’d have problems getting over the rocks coming up. I reached down to strengthen the shoe, unclenched my toe and lost my balance. In trying to stay upright and not drench my bag, I stepped down and the shoe was taken away from me in the current. Now, I had one shoe and about ½ the way to go still. I tried to hop from rock to rock with my pack on my back and “food bag” on my shoulder. (John and Todd had much heavier bags, J deciding to bring along a watermelon for breakfast, not to mention our tents). My balancing act was fruitless as the food bag was completely submerged at one point, here’s to salty bread! John offered his shoes but they proved too big. What else could I do? At about the same time my bag became soaking wet, I saw across the channel 3 men walking towards us. Two were older and one was much shorter, perhaps a high school student. Chances are that between J, T and I, we would know this kid! As we got closer, I noticed a net and that one of the men was wearing tall beige rain boots, something that had to have come from Australia or New Zealand, I’ve seen nothing like that for sale in Tonga. I then realized that I recognized the boy with them, he was one of my students…and that he was wearing shoes! He was sporting some big blue gardening clogs. As I approached him, I thought about all of the times someone had asked me for something and I gave it to them. In Tongan culture, you share everything. I had given pounds of flour and salt to my neighbors, hundreds of pens to my students, DVDs to my fellow teachers, cutlery and baking tins to the home economics room, books to the governor’s secretary and clothes to my close girl Tongan friends. Growing up in Western society, we are taught that we are independent and providing for ourselves is what makes an adult. In Tonga, it’s completely opposite. You rely on the community around you for just about everything. Having been here for two years and knowing that I couldn’t get another pair of shoes once I got across to ‘Uoleva, I asked my student for his gardening clogs. His father lit up and nudged his son to take off his shoes and give them to me. The whole exchange was done in about 10 seconds. I had shoes to continue the trek and my student had to fare the path without any. Have I enjoyed constantly giving my things out when they are asked for? No. But do I appreciate the gesture of my 14 year old student? Yes. My weekend was much more enjoyable with the borrowed shoes which I returned to him this morning at school. Dinner on an unihabited island, all carried. On store fronts, abandoned buildings, wharfs, in front of the bank and schools, in backs of trucks, on walls and on the side of the road, just waiting for something. I see a lot of people waiting in Pangai. Whenever I ride my bike through town, I notice groups here and there. If I am honest, it bothers me. My American productive self screams “Do Something!” What are they waiting for you ask? First of all, most families in Ha’apai don’t have a vehicle, and with the absence of a city bus, most people just “catch” a ride with a neighbor or someone driving by. This means that they are coming to town with no plan on how to get back. Across the main road from my house in the end of town, many people wait there to go to one of the farther villages on my island or the next. They are waiting for someone to drive by and pick them up. I also have to bike by the wharf each morning. We have two inter-island ferries, holding over 600 people at a time each. This is how most Tongans travel between islands because the flights are out of their price range. Both the Pulupaki and ‘Otuanga’ofa make trips between the different islands of the Kingdom each week but they are never on schedule. Sometimes the boat gets in mid-day, other times in the middle of the night. There is no consistency when it comes to schedules. This doesn’t seem to bother my community; they’ll wait for hours in the middle of the night, ready to pick up their container from a loved one or a friend. Planning ahead to maximize productivity and minimize wasted time (waiting) is not rewarded here. Things change all of the time. For example, for Camp Glow, I secured the venue where the camp would be held two months prior to the camp. The Saturday before the camp started, someone living at a house next to the venue passed away. Tongan funerals last 2 to 3 days. During the funeral there are to be no “programs” including dances and social events. My camp had a closing ceremony scheduled with dances and skits performed by the girls. I was “encouraged” to cancel my program because of the funeral. (*Note: Tongan funerals happen every other week, the whole community is invited, many programs are canceled because of them) Canceling my program was not an option. Instead, my island planning team worked tirelessly to find a new venue one day before the ceremony. This was a huge task to undertake during our camp. It didn’t matter that there were contracts signed and that I had paid for the venue. This is an event oriented culture, meaning that things don’t start and end at a certain time. They start when the event before ends and end when they’re finished. You won’t hear someone invite you to their house at 5 pm on Saturday for dinner. It’s “after the rugby games”. When someone gives a time (because I am a “palangi” white person), I know that it won’t stick. My neighbors for example don’t have many things to do in a day. They believe that they can’t anticipate future events. Things will happen when they happen. Again, they don’t seem to mind waiting for the late pastor to start his sermon, the teacher to start the class or the government official to open a meeting. This compounded with an non-challenging attitude towards authority makes most events start late. I haven’t gotten used to this attitude. Though I can accept it as different from my own culture, you’ll never see me somewhere without a book. Sometimes, I’ll leave an event if it hasn’t started in a reasonable amount of time. As PCVs, we’ve had to learn to live within this event oriented culture. We work in Tongan schools and government agencies; we don’t have cars so we must rely on our friends for rides. Even our best Tongan friends who know that time is important to us still come 2 hours late to a dinner party or don’t show up at all. You’d think that after two years, my sensitivity to time would have weighed, but it hasn’t. I really have to say good-bye? I never signed up to be a teacher and that having been my primary job, I stuck through it. 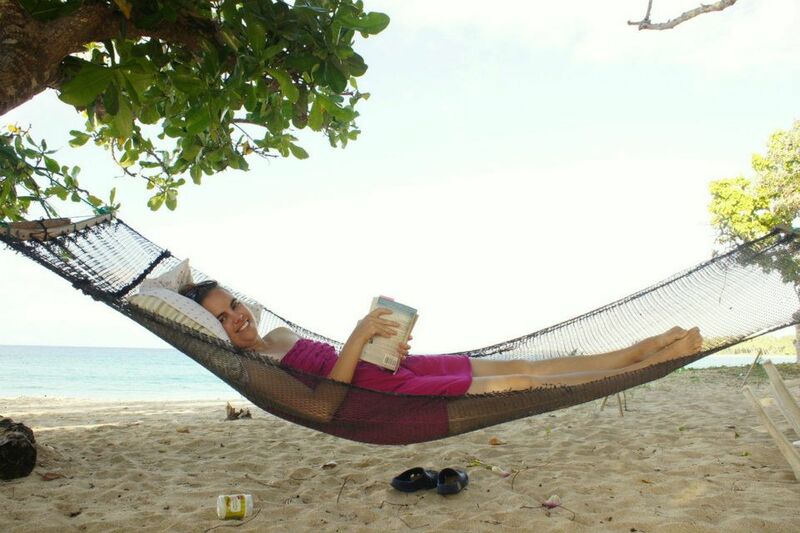 We read Island of the Blue Dolphins, Heidi, The Call of the Wild and a million short stories. 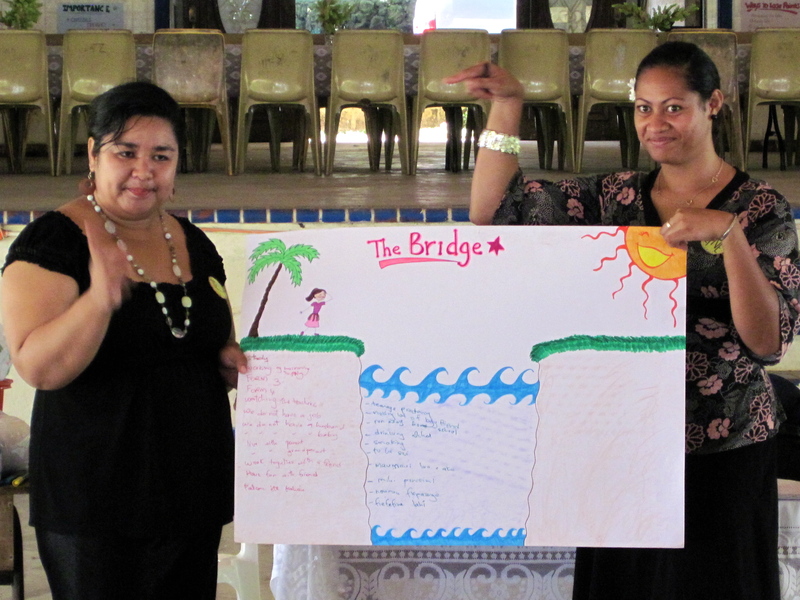 We learned about sexual education, how to fill out forms, what to do at the bank, how to make a budget, how to build a suspension bridge, how to start a small business, profit & loss statements and Tongan history. My students are why I get up in the morning. We have come a long way since January 2010. I did it, for two years, I did it. Another PCV and I searched for businesses that wanted help. Ha’apai just doesn’t have many small businesses. We started with a woman’s group who wanted to market and sell their mats overseas. We showed up to meetings and they didn’t. As a group we organized the business model but when it came time to producing, the women didn’t show up. In a country where your three main needs are provided for, income generation (when you don’t “need” the funds right then) seems to hold little importance. Last year, much of my time went into teaching and finding/writing new curriculum. This year, I decided I needed something more in my day, so with my program manager at PC, we were able to find me a new house off of the school campus and an afternoon job with various departments of the government. I wrote annual reports, did some project advising, and fixed a ton of computers, and now I sit next to the Secretary of the Governor learning the ins and outs of governing in Ha’apai. We have written over 10 grant proposals and won 7 of them. We have brought in over $60,000 TOP (about $45,000USD) for the upgrading of tourist acoomodations and the creation of a “cultural show” and Tourist Center with computers and wireless internet. John and I started an aerobics class for the students and teachers at our schools. One week we would hold the class at my school, the next week at John’s. We could not for the life of us get our teachers or students to literally cross the street to the other school on the off weeks. We let it run for a few months but gave up in frustration. To this day, we don’t know why the teacher’s wouldn’t exercise together. Another PCV brought the Camp Glow program from another PC country. When I heard about it, it sounded next to impossible. But, we pulled it off, both years in Ha’apai. Alicia, a PCV in the group before me pulled off the first one and laid the ground work for Blair and I this year. We were able to raise the money both locally and internationally, plan the camp, get the speakers and fill the camp with eager form 3 girls! Honestly, as I look back, Camp Glow is a shiny spot in my service. 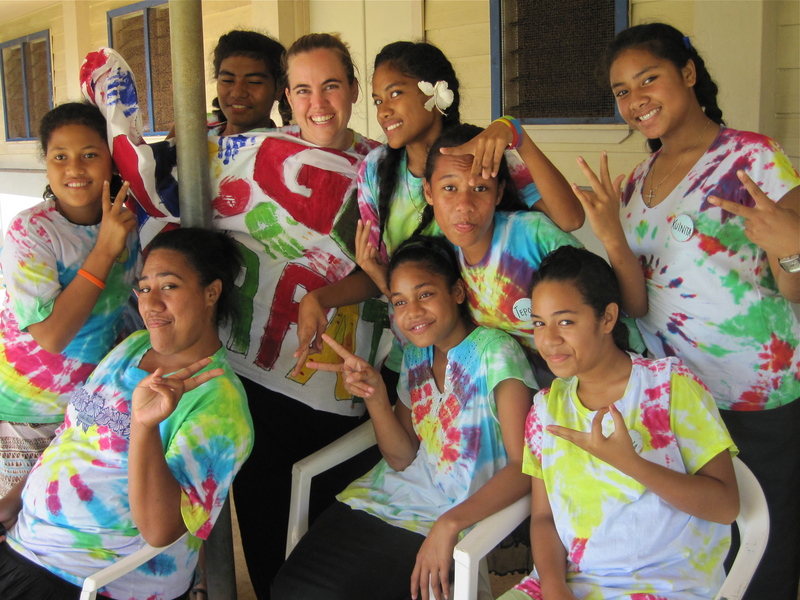 By far, the best part of my Peace Corps service has been my relationships with Tongans and fellow PCVs. These are the people that made it worthwhile. 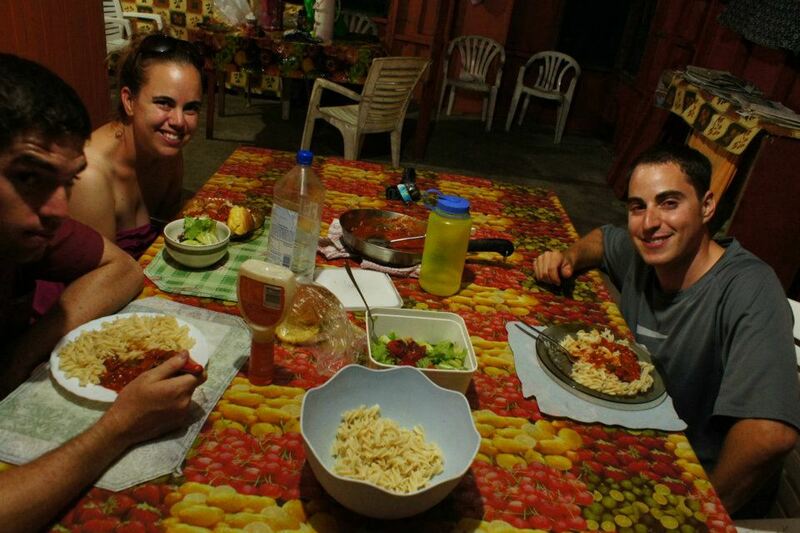 We have had crazy nights at the wharf, killer lessons, adventures on outer islands, American/Tongan fusion meals (ex. pasta with tomato sauce and coconut milk…..), all nighters making floats, “dates”, drinks out of beakers, curry nights, found a new love of boxed wine (thanks Mr. & Mrs. O’Malley! ), eaten crazy seafood, scary boat rides, whale swimming and the phrase “this is it.” One thing about leaving Tonga is that Todd won’t be around the corner, John won’t be down the street and Blair won’t be a couple islands over. We are spread out all over the US, I will miss them. This is why I joined Peace Corps. While I will do things differently when I move to my next country, Peace Corps gave me the priceless opportunity to see if cross-culture service is truly what I want to do. 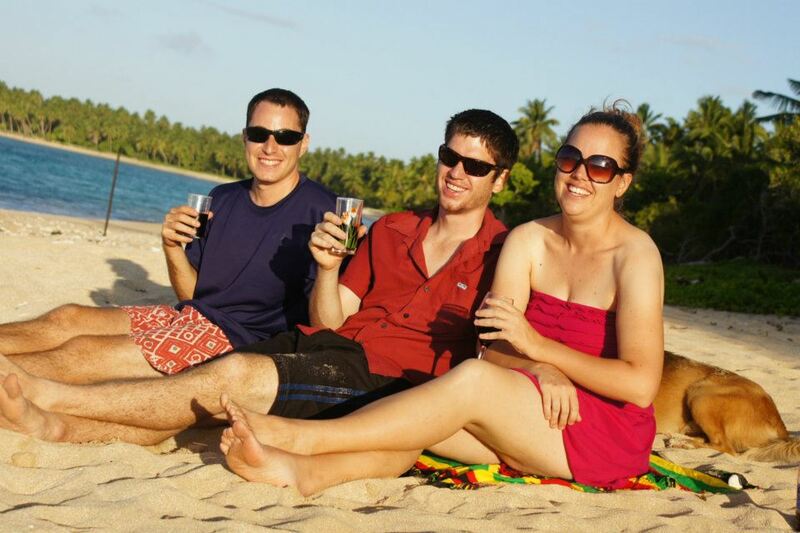 I lived at the level of my co-workers, became part of a Tongan family and was “successful” at my work. I learned that I can live fully and work abroad and I will. As I am writing this, I am finding that I have more positives to talk about than I thought. As I count down the days, I am thankful for the past two years and its lessons, but I can’t wait to set foot on California soil after two years, 1 month and 2 weeks of being away. 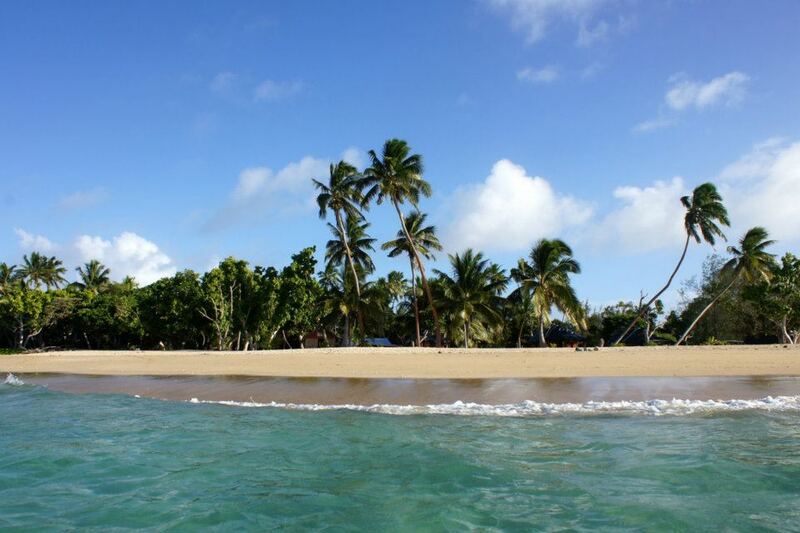 Ha’apai is one of the most rural island groups in Tonga. We are farther away from the capitol, we have less jobs available and tourism tends to be slow. Another PCV and I, Blair Gilbert, set out to more than double the size of Camp Glow Ha’apai from 12 participants last year to 25 this year. This was going to be difficult considering our geographical position in the Kingdom. We had to purchase our supplies from the main island, fly almost all of our speakers in and order vegetables and fruit to be brought from other islands for our healthy meals. As you are aware, Camp Glow is a week-long sleep away camp that is designed to encourage young girls to be change-makers in their community. The camp focuses on teaching form 3/grade 10 girls sensitive and valuable information on decision making, goal setting, women’s health, study skills, domestic violence, drugs and alcohol and anger management. This year, we reached out to all 5 middle/high schools on the island in an effort to invite all form 3 girls to apply. For over two months we recruited girls, booked speakers and their travel from around the Kingdom, fundraised locally and internationally and secured the venue and caterer for the camp. At one point, we almost lost our venue to a traveling Samoan circus, but that’s a story for another time. The process was grueling. Tongans want to help you, the genuinely do, but sometimes they say yes to something when they really have no intention of following through. For example, for an afternoon during the camp, we sent the girls to “shadow” various woman in their government jobs. It was suppose to be a time for the girls to see what jobs are available in the community. My planning team and I spent hours talking to all of the women we asked to take girls, they signed contracts and were even given reminder calls the day before the camp started. We had 16 “model mammas” in all, each one taking 2 or 3 girls. About one hour into the 4 hour activity, many of our girls were reported simply walking around town or going home to get a bite to eat. The planning team hit the streets, trying to round up the girls and find out what happened. It turns out that the model mamma’s let the girls go, not understanding the purpose of the activity. This was frustrating seeing as we had gotten written and verbal confirmation of their understanding and participation. We know for next year not to include this activity in the camp. 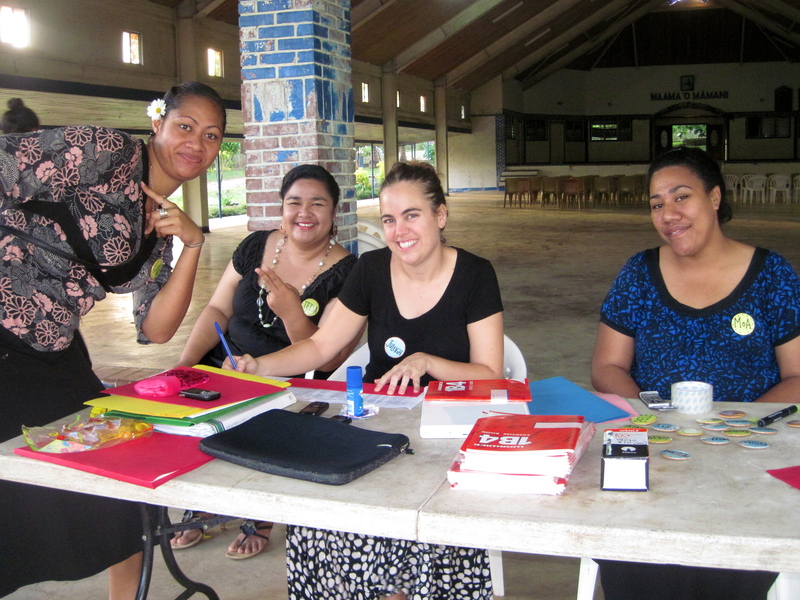 -Woman’s Health session lead by our fantastic Teisa Fakateni where the girls asked numerous questions. So many that we delayed the next session to make sure every question was answered. -Anger Management lead by Saviolio from the Salvation Army of Tonga. His hilarious antics and creative presentation style kept the girls laughing the entire time! -Camp Fire: Just like camps we used to go to, we treated the girls to a good ‘ole camp fire on the beach. Our fellow PCVs Todd and John built the fire that we sang and danced around for hours. -Jobs: One of the goals of the camp was to show the girls what jobs are available outside of the home on our small islands of Ha’apai. 95% of our girls reported learning about a job they didn’t know about before the camp. -Journaling: Every night, Blair and I met with the girls to hold a guided journal writing exercise based on questions from the days sessions. Some of the girls looked forward to this time activity so much that they journaled before we came together. One night, after the session on drugs and alcohol from the Salvation army, a few of the girls shared their thoughts on alcoholism in their families. -Unification: more than half of the girls at the camp reported meeting a new friend from a different church or school. We hope that this is the beginning of support group for this generation of Ha’apaians. -Swimming: Last year we took the girls swimming but it was difficult to keep track of them. This year we scratched it. But, when the girls got to the camp, last year’s campers had raved so much about swimming that we added it back in! What a blast that was! 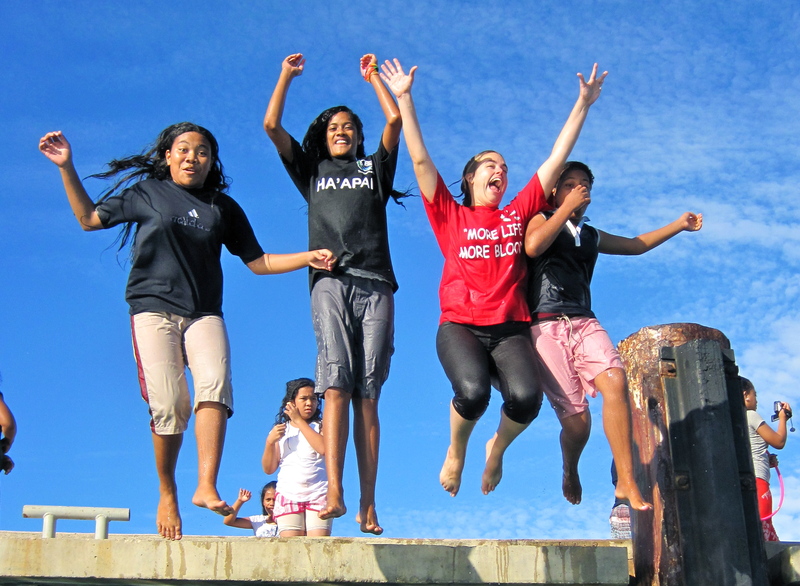 -“When there’s a problem….”: Tongan students generally don’t speak up when there’s a problem. At school, the faucet may be broken in the boy’s restroom but no one will try to turn it off or report that there’s a problem until a teacher walks by and sees water streaming down the sidewalk. This happened during our camp. Our toilets kept backing up. No one told us, so the problem would get progressively worse throughout the day. On the second night, we explained to the girls that this was their camp and we wanted to make sure THEY were happy. In order for us to do that though, we had to know about any problems. It took another day, but by the end of the camp, the girls were letting us know exactly how they felt! They even got us to buy them some snacks because they said they were hungry before bed! Now how’s that for confidence?! During our meeting with the girl’s parents before the camp, after listening to us introduce Camp Glow, one of the father’s lifted his hand and asked, “This is all great, but don’t men lead in Tonga?” The answer is yes. There is only one woman parliamentarian, one woman minister (like secretary of state) and very few woman managers. We believe that the woman of Tonga are a great asset to the country and that with more of them becoming educated and joining leadership positions, they will lead Tonga into further stages of development where the rights of woman and children will be upheld and fought for. We also believe that with more women in leadership, communities will be built stronger with emphasis placed on community programs and services. 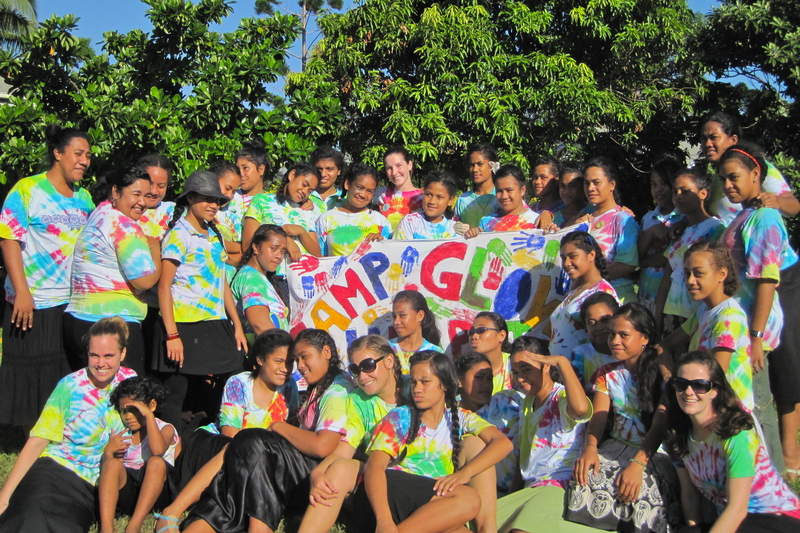 Camp Glow Ha’apai was just one more step in the fight for equality in Tonga and I am honored to have been a part of it. Mail is my absolutely favorite thing to receive. It takes about 3 weeks for mail to reach me from the states. Please remember to write "South Pacific" in the address, or else my mail turns up in Togo, Africa. The views and opinions expressed here are mine solely and in no way represent Peace Corps.